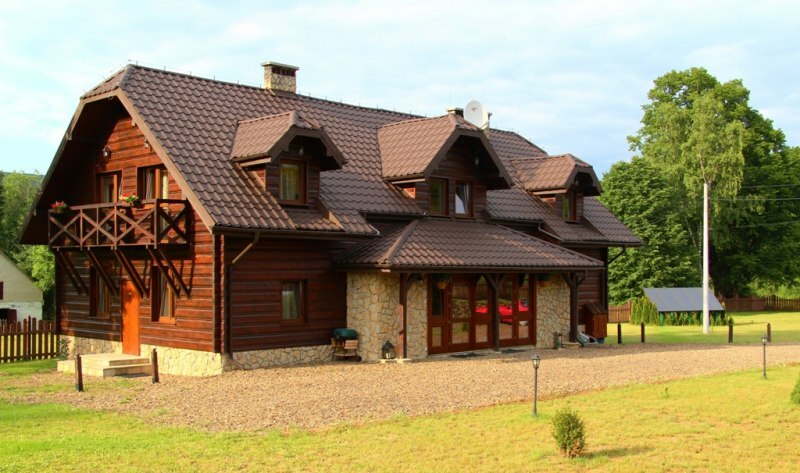 Borsuczyna Guest-House offers a stay in 1, 2 and 3-bed rooms with bathrooms. Rooms are located in three segments with separate entries from the outside of the building, which guarantees maximum of privacy and quiet. It is possible to book the whole segment or individual rooms. 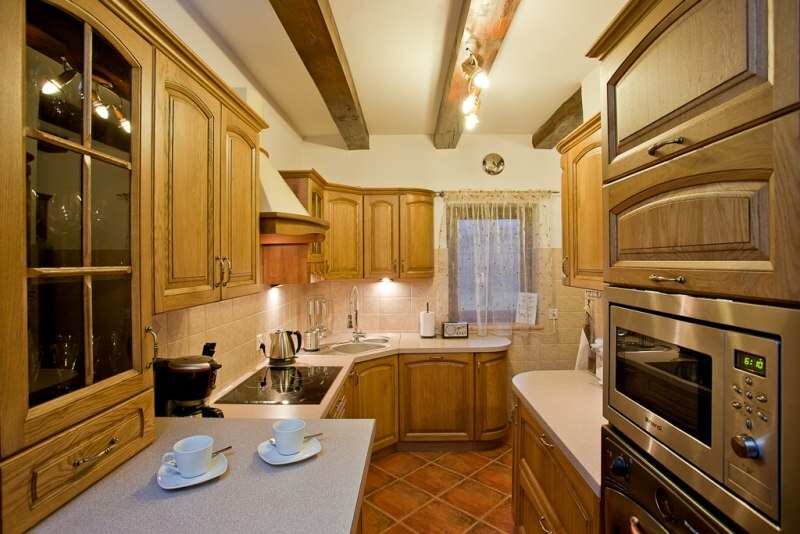 Each room is equipped with satellite TV and an electric kettle with a supply of coffee and tea. There is the wireless broadband in the Guest-House! There is a common part for all Guests downstairs in the form of a comfortable and cozy living room with a kitchen. The living room invites for the common evenings by a fireplace, and its size allows also to organize meetings, trainings or debates for all the Guests. A fully equipped kitchen (a fridge with an ice-cubes maker, a heating hob, an oven, a microwave, a dishwasher) creates an opportunity to prepare meals. Most tired and stressed may find a good rest in the whirlpool illuminated by delicate candle light! In the nearest neighborhood there is a chance to eat homemade food or visit a restaurant. A bonfire in the mountains is especially charming, everyone knows that. If it is possible to eat tasty food by a bonfire, the pleasure is even greater. You are welcome to make use of a place designed for a bonfire. At our Guests disposal there is a comfortable grill, and for the youngest - a playground! Rooms very clean, neat, easy access by asphalt road. Ela, Mrs. Ela also serves here. FROM ME ALSO FIVE STARS. 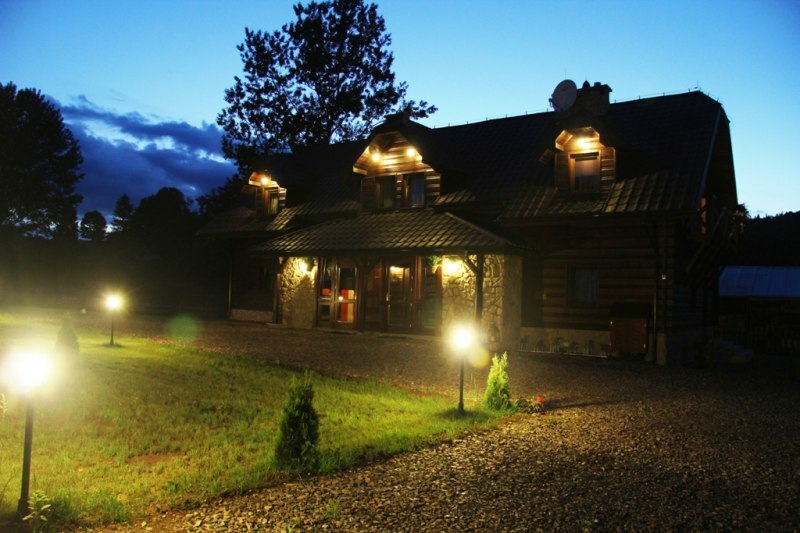 BORSUCZNA IS A BEAUTIFUL ACCOMMODATION. I HAVE THE PLEASURE TO ACCOMMODATE HERE TWICE AND IT WAS VERY COOL. ROOMS NEEDED, BATHROOMS CLEAN AND LOCATIONLY OBJECT COOLLY IS LOCATED. Before I went to this guest house (on which, in the end, I came by accident) I made a virtual tour first. I was here in the winter as well as in the summer and I will say honestly that the climate is great. 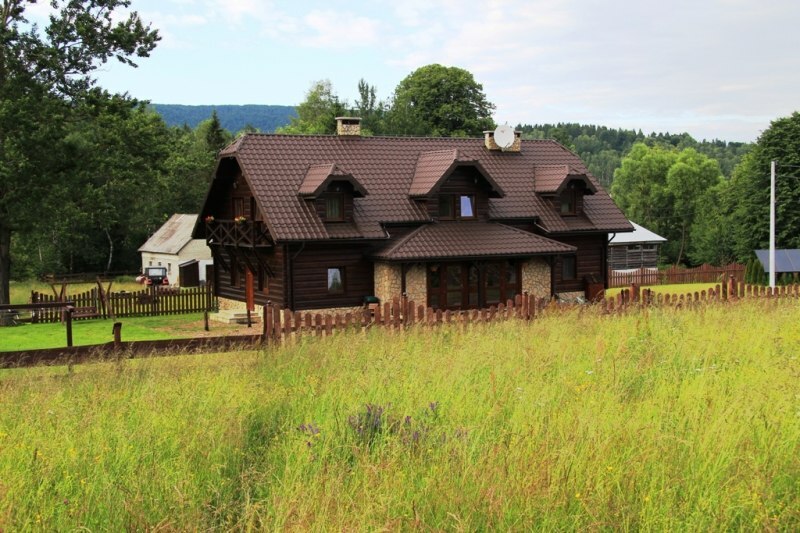 close to the ski slopes, close to the trails to roam a bit in the mountains. I recommend for singles, couples and families with children. there is also access to a hot tub. I still highly recommend it. One of the better guest houses in which I had the opportunity to relax. I remember the time spent in Wetlinie very nice and I would like to come back here. The rooms were very clean, which pleased me very much. Everything else was also fine. I highly recommend this place. We are very nice to stay in this guesthouse. It is perfectly prepared for guests. Here we rested and relaxed. That&#39;s what it was about. We will fall into this place here. A great place. I would recommend. I&#39;m glad I came to this guesthouse. You can have a great rest here. The place is beautiful and the rooms are clean, tidy. We lacked nothing. You can easily come here and rest. I would recommend. It is very nice to spend time in this guesthouse. I liked it because it is clean here, the rooms are prepared for the arrival of guests. You can relax here and relax. That was what we wanted. There is no better place in the area. I recommend this object. I have been to this area several times and it is best to stay in this guesthouse. It is perfectly prepared for guests, nothing is missing. The rooms are clean and nice. You can relax here. Cool place. I would recommend. A great guest house. We have been here several times and have always had a good time. It&#39;s worth coming here. The area is very pretty. Such a place is perfect for a quiet getaway. 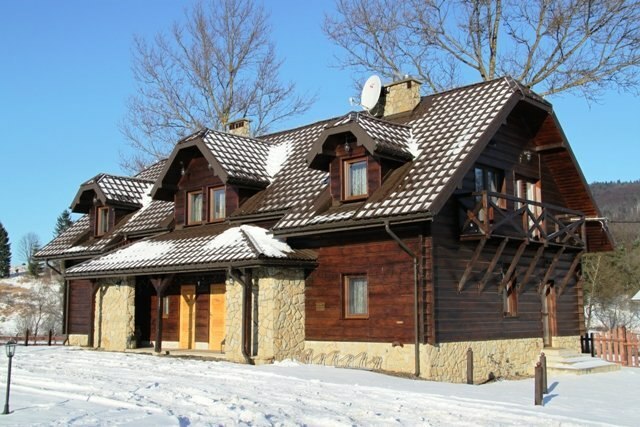 Pleasant guest house, clean, nicely furnished, large rooms. 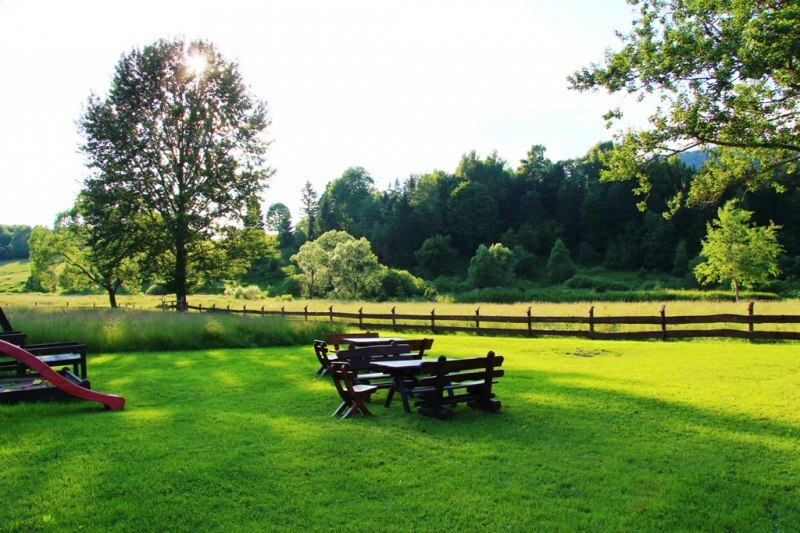 The area is quiet and peaceful, which allows you to relax very much. The prices are not expensive, and the conditions are really good. It was nice to rest here. I recommend this place. Pleasant facility Very nicely decorated, clean rooms We loved it here. The neighbourhood is calm. You can do a lot of sightseeing, take a walk. It&#39;s a good place for a quiet trip. The area is beautiful here. It&#39;s really worth to get into this place and break away from life. You can relax here and relax. And the conditions at the guest house are great. Purely. I would recommend. If you want to relax is sure to be you can at this point. I am delighted area and conditions in the pension. I arrive here to relax and to do so. The rooms are clean and nicely decorated. It is worth come here, if you like the peace and quiet. Hotel is the ideal place for a peaceful rest. Here you can relax in the beautiful surroundings. The rooms are neat and clean, very nice service. Nothing is missing. It pays to come here and a break from work. Super place. I recommend to everyone. Wonderful hotel in a nice area. We spent a few nice days and we rested. The rooms are nicely decorated and clean. In the area around the beautiful mountain landscape that service for a long time. Great place. It is worth go there. Super hotel, we spent a few days, but you want to go back, because everything was at the highest level. Clear rooms, nicely furnished and very nice owners. The best hotel in the area. 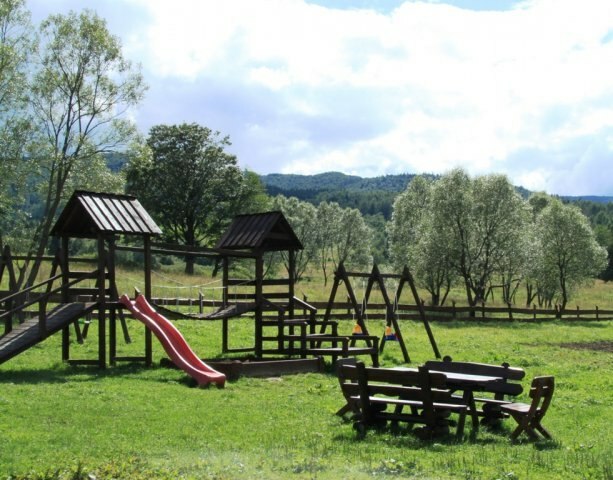 Recommend for families with children, you can really wonderfully spend time in the bosom of nature. Clean air and beautiful views- this i was it! The house is very neat, rooms have everything you need. Recommend! I love the tours of the mountains and especially in the vicinity of it happens - wonderful and peaceful place, this is why we have chosen with her husband this guest house.. After a day of mountain hiking you can use the whirlpool baths! The rooms are kept together with bathroom .picturesque views with ambient pension. I spent here very well free time with friends. It actually is a good place for a good rest. Clean interior and beautiful up to see although once in the life :) hugs team with Borsuczyny! 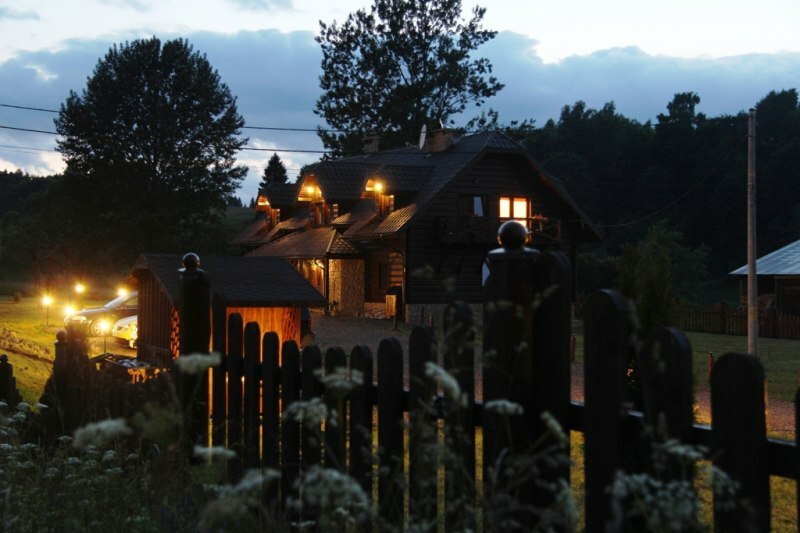 In my opinion t one of the most wonderful places in Poland - clean air, untamed nature and silence. I would like to be here longer,no but work called. Certainly still be here I will select from family :)Center well groomed and well equipped. Hugs and recommend ! A two week stay with the kids was huge success. Pochodzilismy the Bieszczady forest that until i zakwasy :) But traffic is the health! The hotel is very cozy and clean. Room has very well , bathroom, Wi-fi , the container. As at home:) Super!